If now you are aspired to purchase a new juicer, you probably will get deluged with tons of the choices in the market. You could almost get any type and size of juicers out there. The only limit is your needs and juicer’s preference. All in all, you can break down the types of juicers into 2 big categories: the masticating juicer and the centrifugal juicer. The first one is also known as cold-press juicers. It is usually more expensive; while centrifugal juicers are the common juicers that you always see in almost every juicer’s ads. 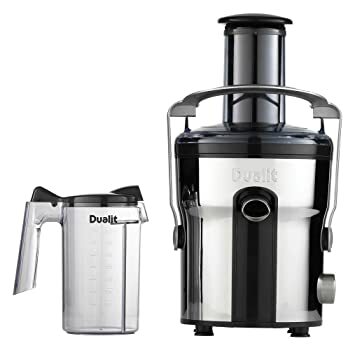 The following is the list of the best centrifugal juicers in 2019. Among the best centrifugal juicers, this could be easily one of the best mid-range juicers so far. The juicer comes with powerful 1000 watt motor, easing you to smooth all your preferred fruits. It also comes with pulp bin, froth separator, and cleaning brush. The plus point among the pluses is its die-cast body. It has the tough and sturdy performance appearance, and easily to blend with the kitchen’s stainless steel appliances. If you prefer a quick fill, you can easily fill your glass with its wide-mouthed spout. Along with its goodness, this juicer is easy to clean. Moreover, it is a dishwasher-safe device. Along with its package, you could also have the large 2-liter pulp container and 1-quart juice pitcher for easy serving or storing in your fridge. 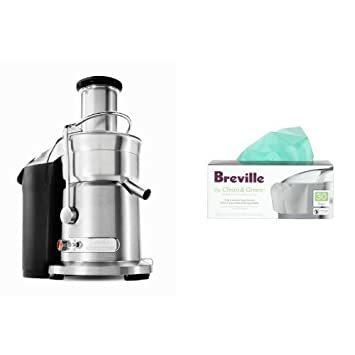 This is one of the best centrifugal juicers has removable parts that are easy to clean (cleaning brush included) manually or with dishwasher. This Philips juicer is for you who want to have a big juicer. This variant of the best centrifugal juicers is yours. With 2.5 liter capacity, you could juice your favorite fruits for families in just one go. The feeder is extra-large and you do not need to dice your large fruits previous for juicing. One of the refreshing features of this juicer is that it’s easy to clean. With its QuickClean technology, you could clean this Philips juicer so quick, just a minute or so. Additionally, for fast cleaning, for example, when cleaning the juicer in between a process of juicing a different kind of fruits, you could execute the Quick Rinse button. Pour an amount of water into the container and push the button. Then, the residues will be flushed out with the water. Dualit Dual Max guarantees you with a sturdy body and durable parts. The feeder is big enough to accommodate the whole fruits into its big container. Dualit is equipped with 800 Watt strong motor. It guarantees you a fast and smooth juice extracting. You could have the healthiest juice, thanks to its froth separator included in the package. Furthermore, the 2L pulp container is handy to remove the residues. This Russel Hobbs juicer is a 3-in-1 appliance. You could press your citrus as well as blend or juice your fruits with this product of the best centrifugal juicers. It means that you get three catches in just one single push. The body and motor are so sturdy. You could use it as long as you like it. Moreover, this juicer comes with a juice collector that could also be used as a blending jug. The capacity is large enough: about 700ml. 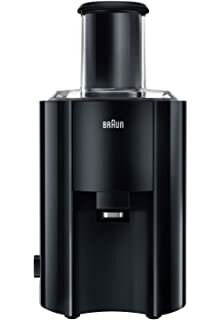 Braun J500 is a powerful and quick juicer. The motor is designed in 900 Watt model. It will enable you to crush the toughest fruits or hardest vegetables easily. You have two speeds to control the juicing process. This one of the best centrifugal juicers is also really fast. You could easily get a glass of juice in less than 15 seconds. Your workspace will surely stay clean with its anti-splash mouth. The parts are easy to remove for easy cleaning. For your safe of mind, this product is covered with two years guarantee. Those are 7 best centrifugal juicers in 2019. There are so many features and models among them. Just pick whichever you want and get healthy with a glass of fresh juice every day. Centrifugal juicer is most commonly available juicers at electrical and departmental stores. 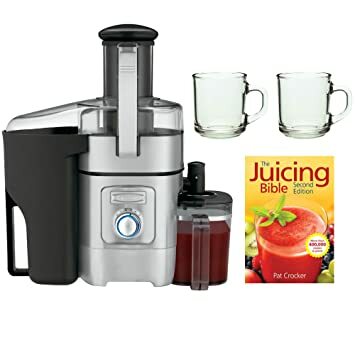 Generally, it is less expensive choices compared to others type of juicers, make it ideal for the beginners or if you only want to juice for fun. Some models have larger feeding chutes which allows the owners to feed the entire fruits in one go that can save much time on preparations. In accordance with this, how to choose the best centrifugal juicers should be appropriate to your needs. Today, how to choose the best centrifugal juicer articles are searched by many people since the centrifugal juicer is loved by lots of people due to its easy use. You just simply assemble and juice. By this, it is suitable for a newbie that want to put this unit as one of kitchen appliances and tools. The juice outputs from this centrifugal juicer are fast since it uses high-speed spinning. Others reason why this product is loved by many people is its really inexpensive price as well as easily available. 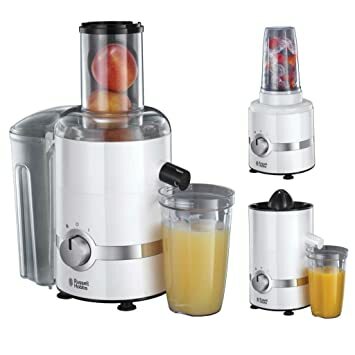 For those who are the newbie and truly could not afford for spending more than $200 or more on masticating juices, this unit must be the best answer. However, this is also suitable for those who are serious about juicing and want for juicing daily. The size and capacity of this car are various. So, how to choose a centrifugal juicer is much better to appropriate with the uses of the juicer will be. For those who have big families, you probably need the juicer with large capacity. As you look at how to choose the best centrifugal juicer guides, you should consider the budgets. It means that you should make sure that you can get the best unit without emptying the pockets. As recommendations, you also can purchase the juicers from online stores. By means of online shopping, how to choose the best centrifugal juicers must be done carefully to pick the product as what the picture shows. Caring and cleaning the centrifugal juicer is mostly like cleaning other types of juicers. Cleaning it properly after using will keep it stay sparkling and make it durable. However, just like cleaning other electrical devices, you have to be more careful. There are some sensitive parts are not designed to water resistant. Therefore, before cleaning up your juicers, you’d better know the parts of your centrifugal juicer type. One brand may be different with other brands and require you to be more focus on different parts. Just read some tips on how to care your centrifugal juicers safely in this article. First of all, remove some parts and wash them with warm water. Separate the water-resistant parts with non-water resistant. Most of removable parts are made from plastic and glass (except the strainer). Both of these materials will change in color due to splash of fruits or vegetable. Therefore, you will need some gentle scrubs. Some scrubbers for dishes and kitchen appliances are made from metal. But using them for centrifugal juicers are not a good idea since they are abrasive and causes damage to your device. The strainer is a sensitive part to pay attention to how to care your centrifugal juicers. Centrifugal juicer has micromesh strainer that retains a lot of tiny sticky pulp fragments. Make sure to soak the fragments for a few minutes or do a simple scrub for a few minutes if the pulp fragments are still sticking. Use safe cleaning brush can get rid of all particles or splash of fruits and juices. Using these juicers lighten up your task, making it more practical but also require some treatment at the same time. How to care your centrifugal juicers properly is an important point to understand before purchasing them. Leaning the directions or descriptions in manual before using it is also recommended.